While steel and aluminum producers will take a major hit as a result of the metals tariffs imposed by the United States, the levies won’t “break” Canada’s overall economy, according to a National Bank economist. “Taken together, [Canadian exports of steel and aluminum products to the U.S.] represent less than five per cent of Canadian goods exports to the U.S. and less than one per cent of Canadian GDP,” Senior Economist Krishen Rangasamy wrote in a note to clients Thursday, citing data for the 12-month period ending in March. 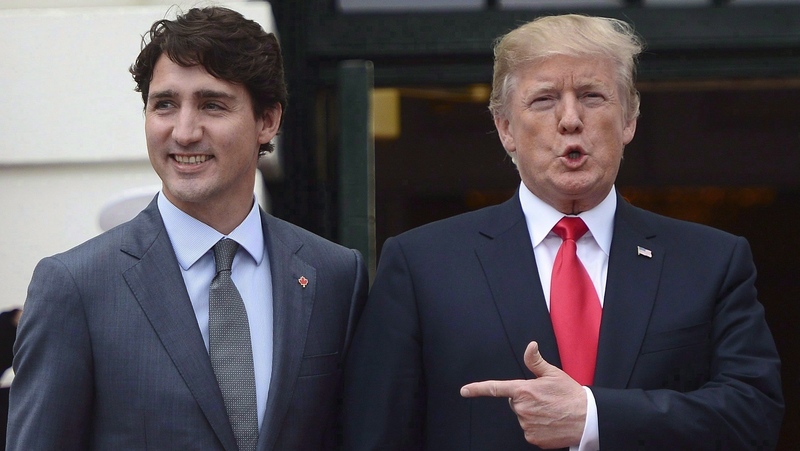 The Trump administration imposed 10 per cent tariffs on Canadian aluminum and 25 per cent tariffs on steel imports Thursday, erupting a trade war as the Canadian government retaliated with its own $16.6-billion in countermeasures. Nonetheless, Rangasamy warns the tariffs are concerning. “They open the door for a broadening of tariffs to include more goods, something that cannot be entirely ruled out as U.S. politicians seek to boost their approval ratings in rust belt states ahead of mid-term elections,” he said. What’s your view on Canada’s trade retaliation against the U.S.?